Baptismal clothing for summer baptism. The pants are cotton gray with dark blue bracelets hanging from the outside in a very modern style. The set includes a white silk shirt with beautiful designs and blue dark buttons to fit perfectly with its blue dark vest with beautiful details on the pocket and ribbon round. https://www.preciousandpretty.com/2018/07/summer-christening-clothes-for-boys-A4178.html Greek Wedding Favors|Orthodox Crowns|Stefana|Baptism Invitations Summer christening clothes for boys A4178 Baptism clothes for summer baptism. 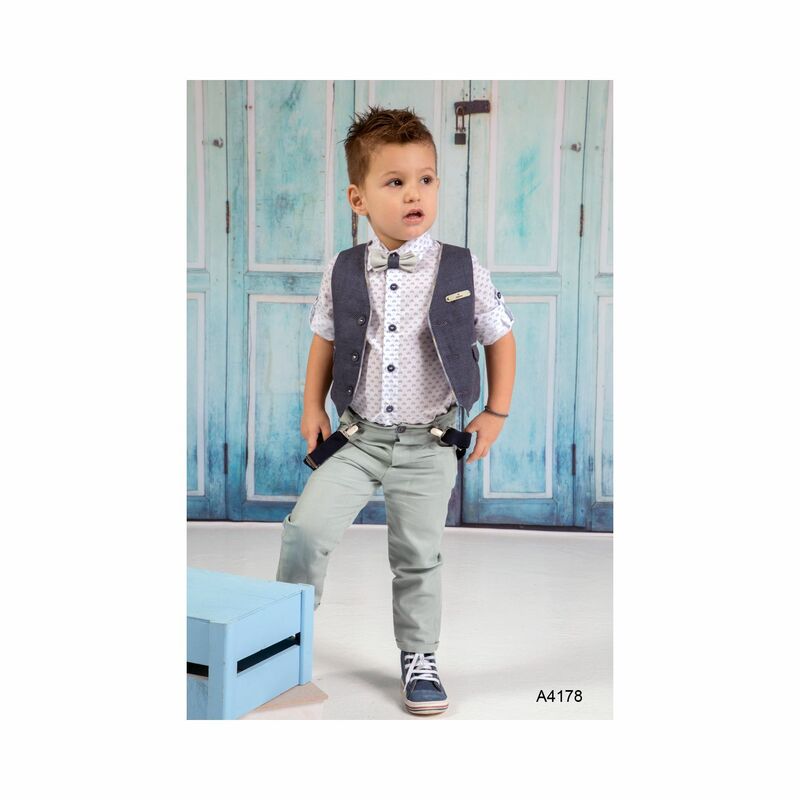 Gray color combined with dark blue vest. Product #: Greek Wedding Favors|Orthodox Crowns|Stefana|Baptism Invitations_8015309184752882588 5 stars out of 5 reviews.